A few years ago, I had been invited to sample a food festival in a hotel. The theme of the festival was the Muslim food of Delhi. The young chef was explaining to a group of us food journalists about each dish as it was brought out. For every question we had, the chef had a single answer: “Ms Dehlvi has said that it has to be so”. 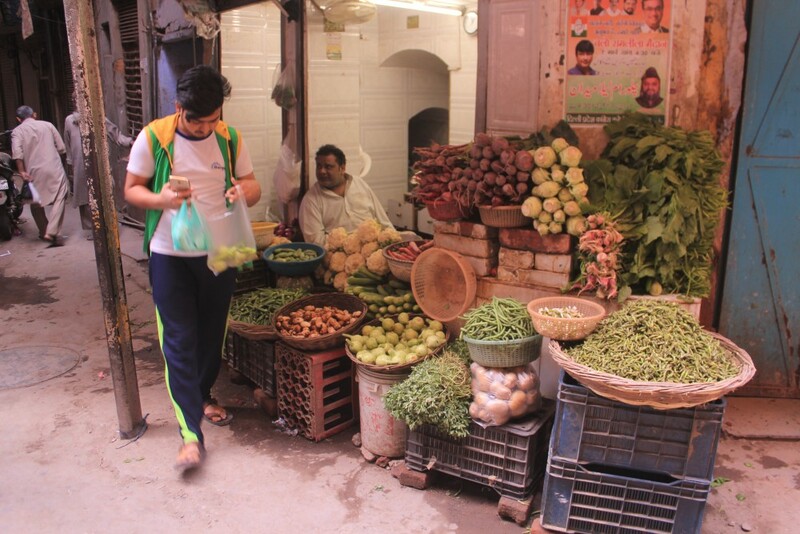 Ms Dehlvi has come to be one of the upholders of Dilli ka Khana – a term that is used to define the food of that swathe of the fast crumbling city that lies between Delhi Gate in the south to Kashmiri Gate in the north, and Lahori Gate in the west to Turkman and Ajmeri Gates in the east. 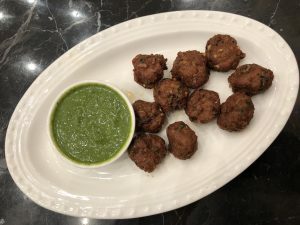 Although Dilli ka khana originated in the old city, that used to be known as Shahjehanabad, it is not confined to its walls and has leached out of it, especially in recent years. 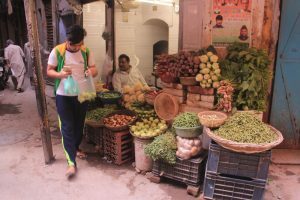 While the food that is eaten across Old Delhi or Purani Delhi is Muslim, Kayasth, Vaish (or Baniya) and Punjabi, the term Dilli ka Khana has become shorthand for the food of the Muslim community. 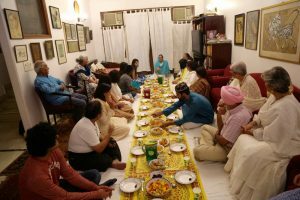 Though there are a few thousand families in whose kitchens the qormas and niharis are cooked regularly, it is the redoubtable Sadia Dehlvi who has got down to writing a cookbook of the food as it was cooked in her home. This is hardly happenstance. The Dehlvi family has lived for at least six decades in the leafy environs of Malcha Marg in the historic Shama Kothi. Thanks to her illustrious grandfather, the family was in the forefront of films, art and publishing, and, as a corollary, cuisine. 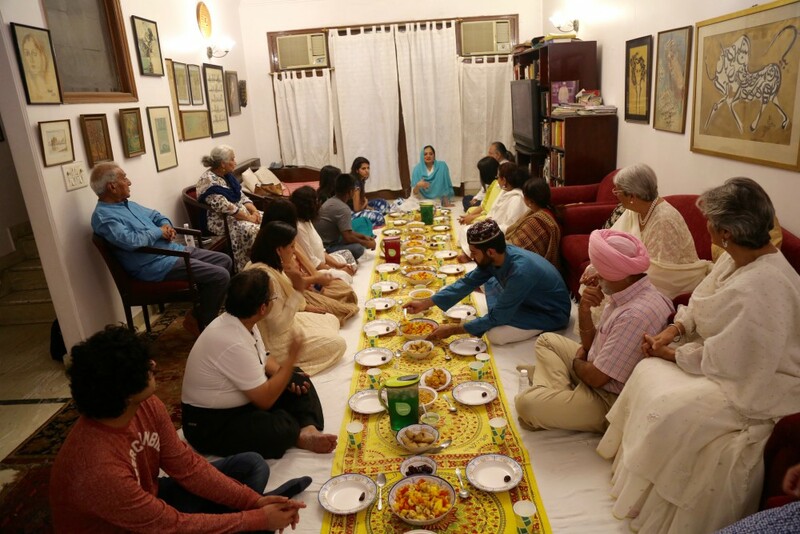 The Dehlvi family does not, of course, have a monopoly on the cuisine of the Muslim community of Old Delhi, but by sheer happenstance, it could be said to have reached a wider audience in Shama Kothi, via the glittering parties and soirees that were held there. The other powerful vehicles of upholding the cuisine are the caterers of Old Delhi who number about a score. Spread out from Chitli Qabar to Matia Mahal and Lal Kuan, the best known are Kallan bawarchi, Khaleel Ahmed and Hakimi. However, the trade they ply is that of their forefathers: cooking traditional food to an audience who knows both them and their wedding banquets only too well; few first-timers manage to get a foot into through the door. 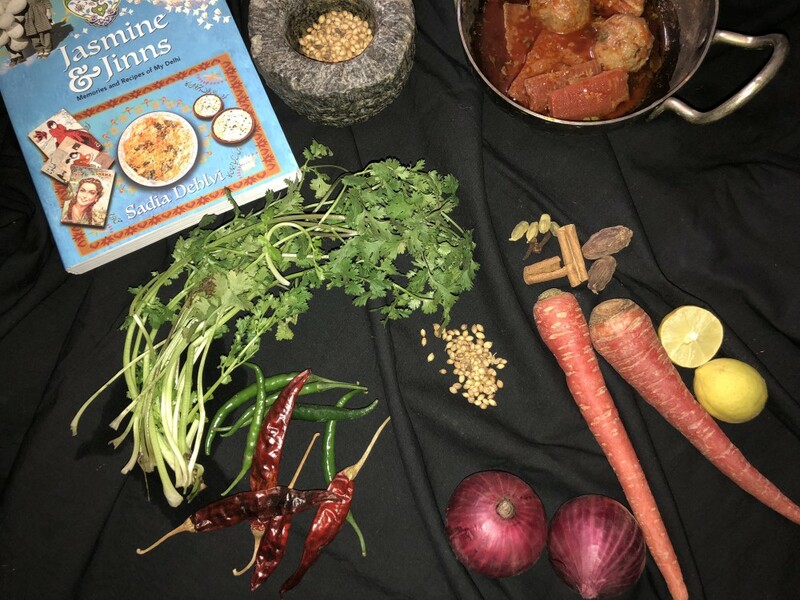 Sadia Dehlvi’s book, Jasmine and Jinns (Harper Collins, Rs 699) is not only a one of its kind cookbook about the food of Old Delhi, it is probably the first attempt that anyone from the community has made to record the recipes which have, hitherto, been passed on verbally. She says as much in the introduction: aunts were notoriously shy of giving out what they considered their secret possessions, lest they lose their ‘powers’. It is a rather self-destructive way of thinking that has brought whole cuisines to the brink of extinction. 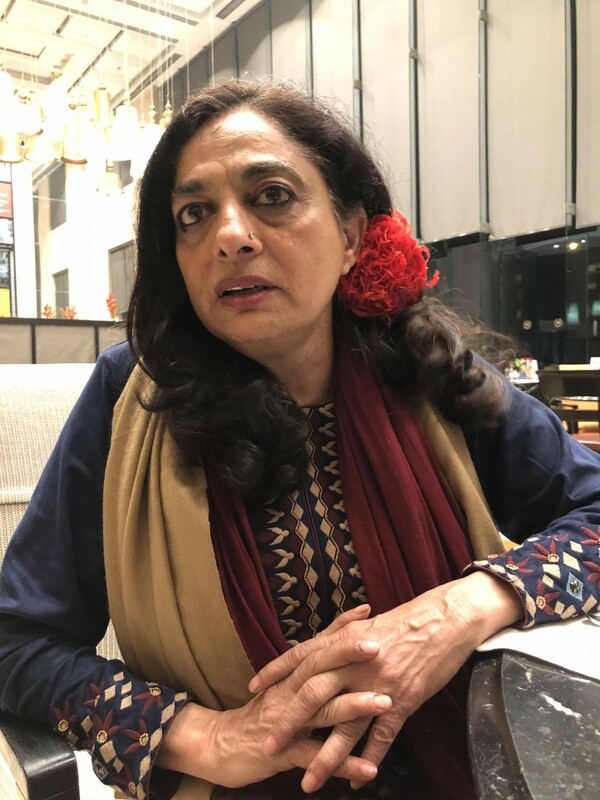 Before I could begin to try out a few of the recipes (I had bookmarked Aloo Saalan, Qorma and Nihari, among others) Dehlvi had a festival of her food at Delhi Pavilion at Sheraton, Saket. To my astonishment, the very first starter to be brought to the table (in all Delhi Pavilion promotions, you help yourself at the buffet but the starters are brought to you, prepared a la minute) was kalmi bada! I certainly had not expected a vegetarian snack; the only giveaways that it had not been made in a Vaish household, were the presence of barely broken open coriander seeds and the absence of hing! Fried snacks are part of the breaking of the fast every evening in the month of Ramzan and the Dehlvi family makes sure that there are vegetarian snacks, a couple of kebabs and some fruit. The other starter, Qeemay ki Goliyan, was also from the Dehlvi Ramzan dastarkhwan. After having sampled the Nihari, I am going to attempt the recipe at home: it doesn’t sound too daunting, and the flavours of the version I sampled at the festival were ambrosial! Deep and rich, yet subtle, where all the spices were in perfect balance and none overpowered the other. The meat too was succulent and incredibly tender. I didn’t feel the need for the six conventional accompaniments: ginger juliennes, onion rings, chopped mint leaves, chopped green chillies, lime wedges and cilantro chopped. The Biryani, from the book, naturally, made me think about the difference between the two neighbours’ styles of cooking: Delhi and Lucknow. 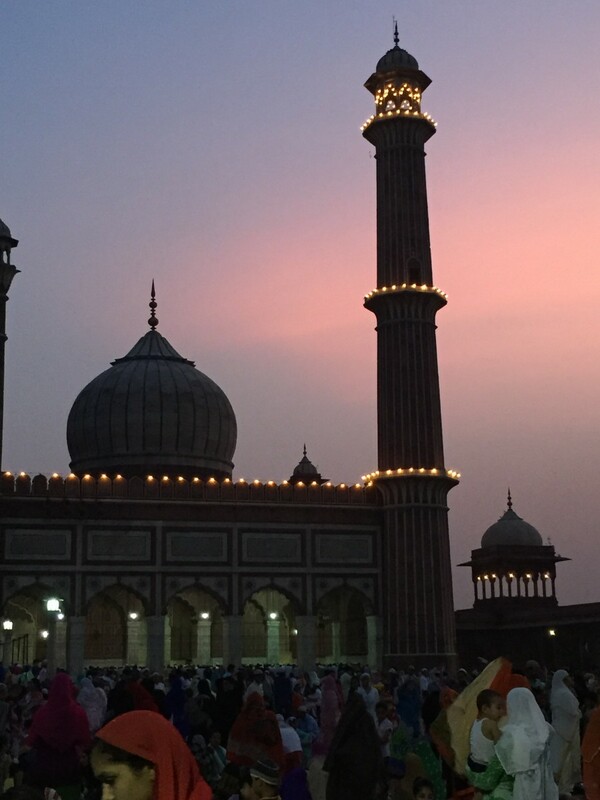 While Delhi had more powerful political clout and far more new influences, via Persian nobles who came from that country to attach themselves to the court of the Mughal emperors, it is Lucknow whose cooking appears more refined. Or perhaps, it was due to the Lucknavi nobles’ greater preoccupation with the pleasures of the table! Sadia Dehlvi’s promotion is on till 23rd December. It is only for dinner and costs Rs 1845 for unlimited servings. I hope ITC Hotels takes this association across all its hotels, through the year, including during summer and monsoon, as Dilli ka Khaana has recipes for every season.